Before making this post I wanted to do some research on Feng Shui. I knew the general idea of it had to do with design flow invoking positive energy. I started googling Feng Shui and honestly it would take me hours to write up all I found! There is all the information on colors areas of direction for particular colors/design. I always like to garner knowledge so it's definitely an interesting read and topic to look up if you're curious, but way too much information for a nail polish blog! I honestly wish I could describe this color to you properly. I've heard it referred to as a dusty blue or colbalt blue. I'd have to go with the "dusty" blue. I'd call it a marine blue it definitely is more of a true blue than a blue-green, but it does seem to have a hint of gray to it that mutes the color a bit. I hope that makes sense. Suffice it to say, it's a very different blue creme than many I have seen out there. While researching Feng Shui blue represents knowledge and career, but that may not be entirely correct depending on what cardinal direction the blue is located. Feng Shui is very complex! Anyways, I had been wearing this color for a bit and decided to spice it up though that may of messed up the Feng Shui of things. Nailene kindly sent me some amazing stickers to try out so I added them for some extra sparkle and fun! 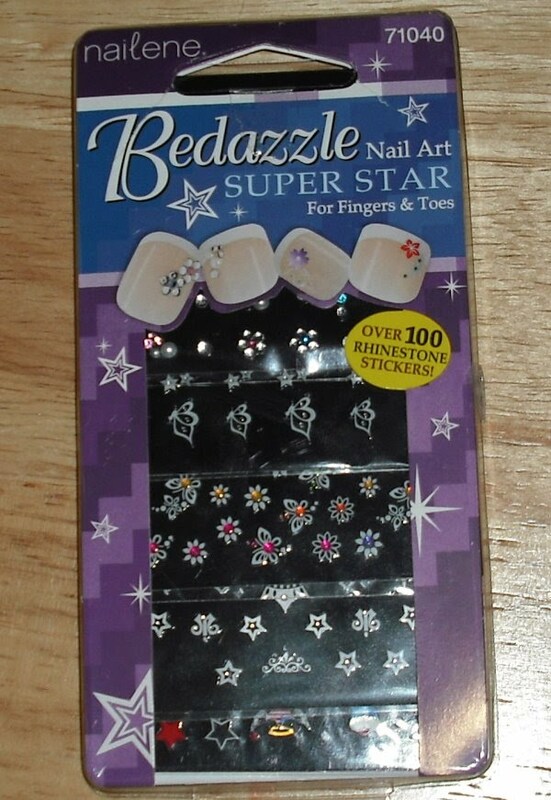 Now, if you've been reading my blog for awhile you may have remembered that I had recently overcome my fear of nail stickers. If you want to reference back to this story you can find it here. This is a new set of stickers Nailene sent me with some different options than the set I bought before. These nail stickers are great. I really love the variety of them. You have some very simplistic stars and rhinestones to some more detailed butterflies and flowers. Plus, you get a lot of stickers! I'm not one to do my own nail art. I don't own a Konad, so nail stickers are great option for me when I want to do something a bit different with my nails. These are easy and fast to apply. I don't do nail stickers often, but I think it's great to have a set of stickers like this on hand. It can really spice up a fresh manicure or give a whole new look to manicure you just don't feel like changing! You are too funny. I'm glad you're over your sticker phobia and moving into some cool stuff. 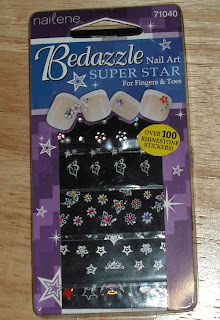 I like the accent nail you did with the Nailene stickers and I like their brand...they offer a good variety. Cute stickers! I found a couple sheets pushed WAY back in a drawer this weekend. I might have to try them out again. SSFS has a sophistication about it that I love. And feng shui is complicated, with the different schools of thought which give different guidance. I bought a few books on it and got very confused. I love that blue. The only color I have that might be close is Sally Hansen Pacific Blue, and I'm not sure how similar they are. I always buy nail stickers because they're so cute and an easy way to make a mani special but I never remember to actually use them. I'll try to post a NOTD this week with stickers. And, as for Konad, I'd definitely suggest checking out ebay for fauxnad. It's much cheaper and another quick way to spice up a mani. This looks reallllyyyy nice on you! The nail stickers are perfect too, great touch! That's such a flattering, relaxed colour. And I like the stickers too! i'm glad your comfy with stickers now. and i agree, they are great for a quick change. Zara- Thanks I like it too! Lacquer- I know I'm proud of myself I've been broadening my nail polish horizons. Megan-You should they do add a nice touch! Karen- At first glance it's a very simple color, but the more you look at it the more unique you realize it is. Michelle- Thanks for the fauxnad suggestions. I really would like one, but I worry once I get one I'll want every single plate possible. I'll be out of control, but I may consider it someday! Olivia- It is I'm glad I started doing it. It's so simple too! Rebecca-Thanks! The color is very serene. Enamel- Me too I was missing out! I love stickers, decals and stamping, it can indeed quickly spice up your mani!